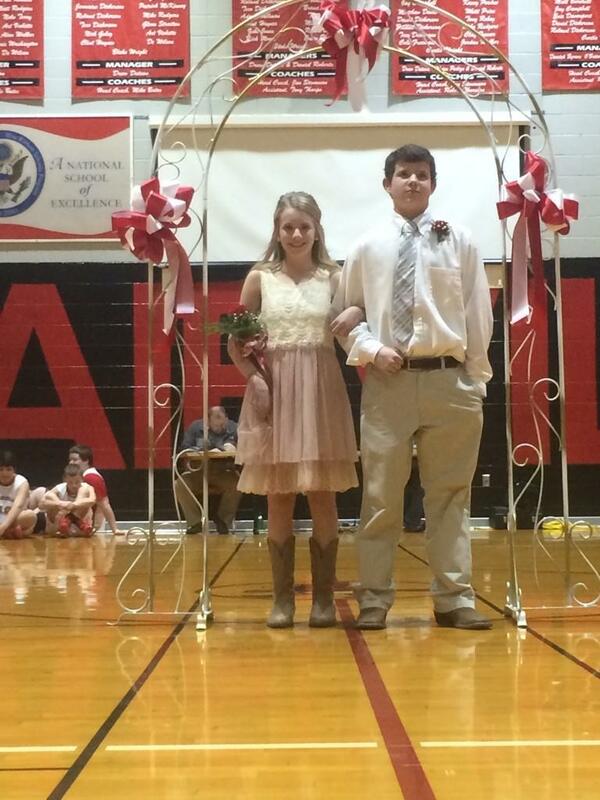 Adairville School recently held its traditional homecoming ceremony on Jan. 20 between basketball games. The 2015 Adairville homecoming king is Brennan Davenport, son of Wallace Moulton and Lyndsey Davenport, and the 2015 Adairville Homecoming queen is Haley Chambers, daughter of Ashley and Randy Lee. The middle school homerooms each nominated a boy and girl to represent them in the homecoming court, and the middle school students voted for homecoming king and queen via secret ballot. The new king and queen were announced at the ceremony and presented gifts by the 2014 homecoming queen, Rachel Pitts. 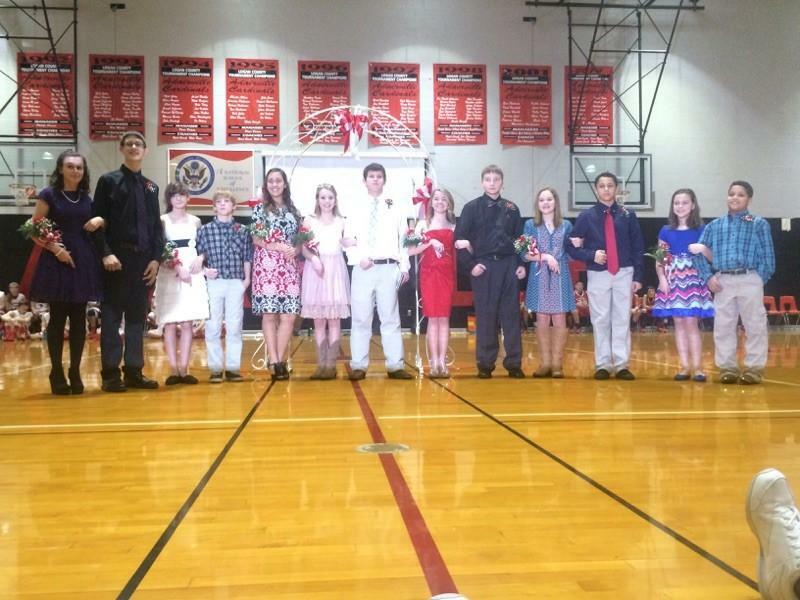 Pictured are the homecoming court, from left to right, 6th graders Emma Prince and Nathan Neal, 7th graders Rylee Hobbs and Cameron Gorrell, 2014 queen Rachel Pitts, 8th graders and newly crowned queen and king Haley Chambers and Brennan Davenport, 8th graders Hannah Crutchfield and Austin Epley, 7th graders Caroline Davenport and Devon Carter, and 6th graders Lillianne Elam and Joshua Henderson. Not pictured is 2014 king Austin Rayno.